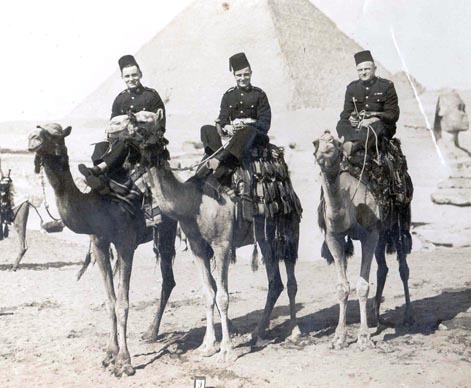 Marine James Evoy PLY/X356 (left) with two friends at the Great Pyramid of Giza. EVOY, Marine, JAMES, PLY/X 356. H.M.S. Neptune. Royal Marines. 19th December 1941. Age 32. Plymouth Naval Memorial Panel 59, Column 2.